It almost seems wrong that Anathema should be taking web inches on The Sludgelord. I doubt any of the other bands covered on the site would fit with the current Anathema aesthetic. The band started out as a doom outfit, and over time as a band, they have changed their 'sound' over the last few years to that of a thing of aural beauty. The Liverpool sextet gained high praise for their 2012 opus, ‘Weather Systems’. With their 2013 live release, ‘Universal’, they set the bar even higher with their precision in playing, gorgeous harmonies and lush orchestral landscapes. With their star certainly on the rise after many years of hard graft, is their new album up to their previous standard bearers? From the off, ‘Distant Satellites’ is a darker listen than ‘Weather Systems’. Opener, ‘Lost Song Pt1’, builds into a quite heavy affair with beautiful vocals towards the end as the track lifts off. ‘Part two’ of the song is a stunning piece of music. The vocals throughout are heartbreaking, and the progressions in the music are so unbelievably emotive. ‘Lost Song Pt2’ may have just snatched top spot in my favourite songs of the year from Bast's Psychonauts. ‘Distant Satellites’ is littered with soaring songs that your regular chart dwellers who like to release 'emotive' songs can only dream of. I struggle to think of too many bands that have Anathema's conviction in delivering songs of this ilk. The bands self titled track on the album closes out with a solo that is simple but massively effective and epic in every sense of the word. It has an aura of latter day Iron Maiden in its delivery, and the orchestration takes the track to another plain. Towards the end of the album there are a couple of more electronically influenced tracks. ‘You're Not Alone’ feels a little off the mark and is definitely an experiment; something the band are not afraid of. The track has an almost drum and bass feel in its processed beat. It scats along at a rapid rate before exploding into guitar fuelled fury. It's certainly one of the heaviest moments here and there has a touch of the invention that Radiohead produced circa 2000 with Kid A. This is also true of the title track which could easily have sat on one of those early noughties Radiohead albums. ‘Distant Satellites’ (the track) builds and builds around another great vocal before it breaks into a straight 4/4 electronic beat, submerged in ambient synth and chiming piano. This electronic experiment works! 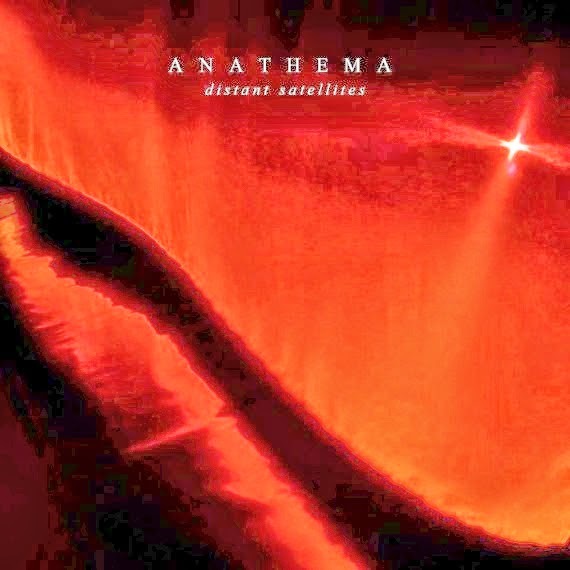 Anathema have an innate ability to take you to places you could only dream of in their music. The notes and chord progressions the band plays sparks off so many emotions. ‘Distant Satellites’ is another quite sublime effort of heart breaking beauty in a record. Anathema are one of England's best kept secrets. It would be great to see them get more mainstream recognition. They tour in September, and I for one cannot wait!